I personally think this score is more than fair for the game. I could have seen it at lower due to the lot of problems it has, but I'd like to hear where you all think the game should be if you have played RGG6. Regarding the French press, journalists aren't very professionals. It's cool to promote the series but staying objective is not bad either If this is generally the case I can understand this very generous result. When I read that Yakuza 6 is the most complete episode it's a joke ! ¨Content and gameplay are downgraded. The graphics are beautiful but no mention of the bugs because the engine is not yet mastered. I can continue to list the defects for a long time. So I agree with you, it's more than fair. And it's a bit confusing. The Press got the Review Copies more then a month earlier, that's normally not the case. Why was the release pushed back to 17.04.2018 anyway? I see no explanation for it because the game is finished. But I think 83 is the right score for Yakuza 6. Yakuza Zero has 85 so there's no big difference. 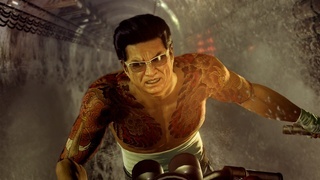 Yakuza 0 is really better than Yakuza 6 according to me. Yes Sega sent the copies to the press with the old planing while pushing the release to the public. With such complimentary reviews it's even more a shame not to enjoy this hype.Nothing surprises me with them ! @GorudenRyu wrote: Yakuza 0 is really better than Yakuza 6 according to me. I can add it to the list of questions. I remember reading on their Facebook page that the delay was due to a business decision. So I see it as a issue with competing up against Ni No Kuni 2 and others. April is a lot slower of a month for video games than March this year. Only massive competition is God of War, and that won't take the whole month's attention by any means. It definitely was better received here than it was in Japan. Hopefully it sells really well here too. I didn't expect any higher score, to be honest. That is a good score actually. Yes, I hope that media push their tests before the official release. With GoW, new players could forgot Yakuza.